The sports tech athlete performance monitoring system ForceDecks was today named an official supplier of the English Institute of Sport (EIS). ForceDecks created by NMP (Neuromuscular Performance) Technologies developed impactful force-platform technology in their laboratory then unleashed their product onto the training ground for top sport teams, training centers and now the EIS. The pioneering company was also shortlisted as Best New Concept at the upcoming 2016 Sports Technology Awards. The Sports Techie community blog is excited to share this news out of London because it’s a significant moment in the history of the company and industry. ForceDecks named official supplier of the EIS. ForceDecks is the brainchild of sports scientist Dr Daniel Cohen and biomechanist Dr Phil Graham-Smith, two pioneers of dual-force platform testing with over 40 years of combined experience working with elite sports teams. The FD4000 – a 6,000kg overload fit-for-purpose ForceDecks dual-platform – was made available for elite sports organisations with accompanying ForceDecks software from January 2015. The ForceDecks dual-force platforms provides training, medical and sports science specialists the technological ability to monitor, manage and assist with improving different aspects of neuromuscular performance that influence the sporting performance and musculoskeletal health of elite athletes. The EIS delivers performance-impacting scientific, medicinal, technological and engineering services to a wide-range of Olympic and non-Olympic sports teams and athletes across the UK. 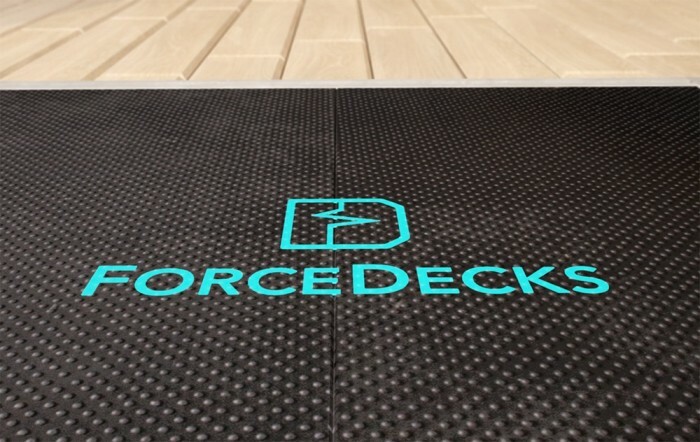 The new partnership sees ForceDecks become the official Dual-Force Platform Supplier to the EIS and will see the two parties collaborate to develop bespoke features and analysis for the ForceDecks system. 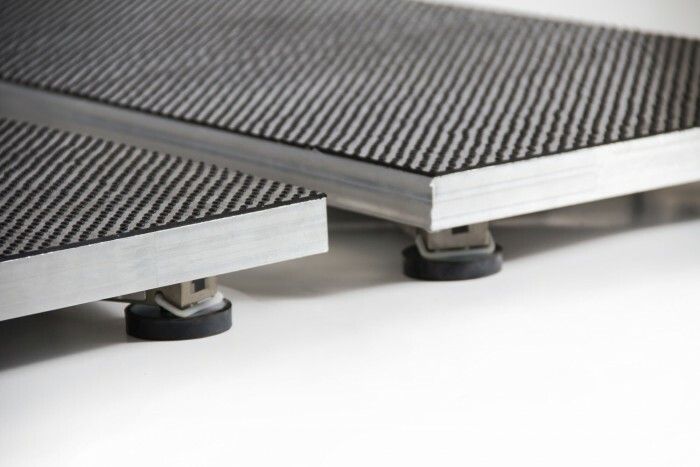 The ForceDecks system consists of two force platforms that evaluate key neuromuscular performance characteristics during activities such as the take-off and landing phases of a jump, or in isometric (static) strength tests. The ForceDecks system consists of two force platforms that evaluate key neuromuscular performance characteristics during activities such as the take-off and landing phases of a jump, or in isometric (static) strength tests. ForceDecks proprietary software provides immediate analysis and visualization of a range of key conventional markers of athletic performance such as jump height and peak power – in addition to novel markers of neuromuscular fatigue such as time flight time: contraction time and eccentric duration. It also measures individual limb performance during bilateral (double limb) tasks, showing asymmetries in force production and load distribution on landing that may relate to prior injury. ForceDecks’ instantaneous analysis of complex force-time data gives strength and conditioning, medical and sports science practitioners a detailed insight into athletic performance, fatigue, injury risk and return-to-play, enhancing their training and rehabilitation programmes and providing a means to rapidly assess response to training and competition load in large groups of athletes. “The EIS has been an integral supporter of ForceDecks, and further inspired us in our mission to develop a robust, user-friendly system which we believe, ultimately, has helped elite improve their sporting performance. We would like to thank everyone at the EIS for their backing and invaluable feedback since first trialling the system in 2014,” said Dr Daniel Cohen, co-founder of ForceDecks. ForceDecks is currently in use at over 30 elite sports organisations across the world including EIS high-performance centres; football clubs Manchester United, Arsenal, Barcelona and Atlético Madrid; the England cricket and rugby league teams and the England football team’s national centre at St. George’s Park; rugby union team Saracens; and NHL team the Montreal Canadiens. Athlete performance monitoring system ForceDecks was today named an official supplier of the English Institute of Sport (EIS). The EIS delivers performance-impacting scientific, medicinal, technological and engineering services to proactive Olympic and non-Olympic sports teams and athletes across the UK. The English Institute of Sport (EIS) helps elite athletes to improve performance through the delivery of science, medicine, technology and engineering. Over 350 EIS employees deliver in excess of 4,000 hours of service each week to nearly 1,700 athletes across more than 30 Olympic and Paralympic sports. The EIS worked with 86% of the GB athletes that won a medal at the London 2012 Olympic and Paralympic Games. 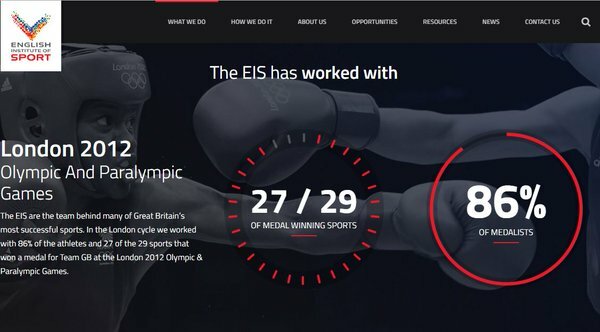 EIS delivers performance-impacting scientific, medicinal, technological and engineering services to proactive Olympic and non-Olympic sports teams and athletes across the UK. The new partnership sees ForceDecks become the official Dual-Force Platform Supplier to the EIS and will see the two parties collaborate to develop bespoke features and analysis for the ForceDecks system. Two additional FD4000 ForceDecks will also be supplied to the EIS; following the recent installation of an FD4000 at the EIS’ new high performance centre in Manchester, this will take the number of ForceDecks systems at EIS high-performance centres to eight. ForceDecks has also been nominated for Best New Sports concept at the 2016 Sports Technology Awards. ForceDecks proprietary software provides immediate analysis and visualisation of a range of key conventional markers of athletic performance such as jump height and peak power – in addition to novel markers of neuromuscular fatigue such as time flight time:contraction time and eccentric duration. Sports Techie, The sports technology space in the UK has an ally in ForceDesks as the EIS is well aware of. They are proving a cutting edge sports tech product that current users are delighted with. The sports tech competitive edge provided by ForceDesks is also sure to provide improved athletic performances during the Rio 2016 summer games for the EIS teams and athletes.